Playing with exaggerated shapes and a streamlined design, the adidas Prophere arrives to take on your new season rotation. 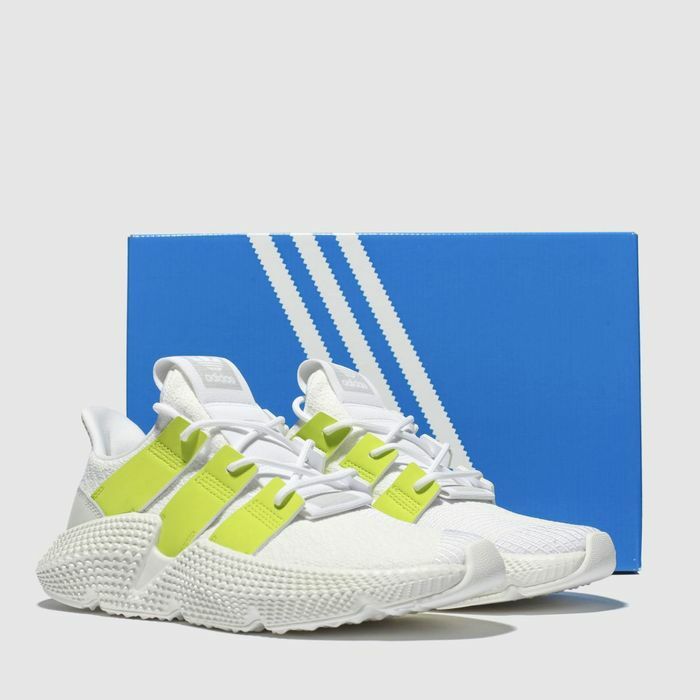 This white fabric sneaker boasts a one-piece upper and lime green 3-Stripes while a textured sole unit moulds up the side to finish. What do you think of this Schuh deal?